Wrap-around front porches, stately facades, tree-lined streets. When it comes to Southern states like Alabama, there are certain architectural features of which we expect to see plenty. The 10 neighborhoods on this list boast myriad examples of the aforementioned features and more. While some are towns so small they have remained the size of typical neighborhoods, others are historical suburbs that have slowly but surely melted into the nearest larger city. In either case, each neighborhood on this list consists of a collection of homes, streets, and parks that appeal to lovers of both architecture and beauty. These neighborhoods are, put simply, the most architecturally charming neighborhoods in the state of Alabama. Even as far back as 1916, Montgomery neighborhood Capitol Heights was being called the “ideal residential suburban section.” Now a designated historical district, Capitol Heights is a beautiful old streetcar suburb distinguished by its Southern-style manors, California-style Craftsmans, and plenty of mixtures of various architectural styles. The neighborhood has become increasingly popular among lawyers, teachers, architects, and others who enjoy the diversity of both the local population and the building styles. Each year, Capitol Heights residents show off their neighborhood and seek to draw in more potential neighbors by hosting yearly home tours and neighborhood walks. During the 19th century, the small town of Eufala, Alabama was a bustling trading port thanks to its advantageous position along the Chattahoochee River. Today, there may be fewer steam and riverboats around, but much of the Southern charm has remained. 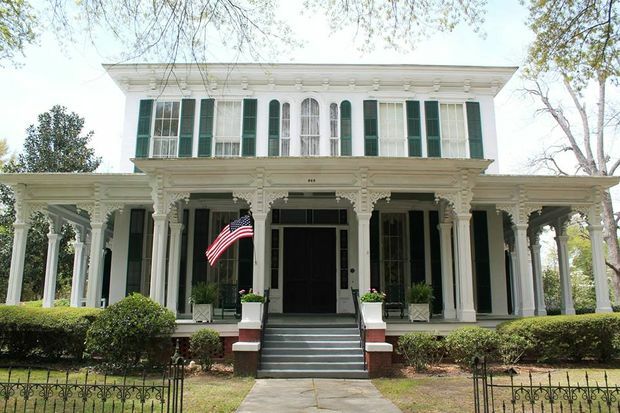 Eufala’s Historic District is home to the town’s collection of beautifully preserved antebellum homes, and is a quiet and pretty neighborhood perfect for a leisurely stroll of architecture viewing. 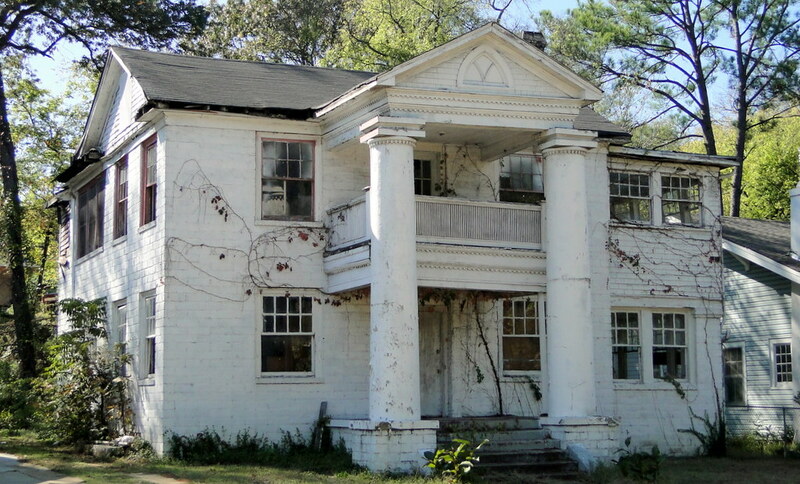 In fact, the neighborhood hosts the Annual Eufala Pilgrimage, Alabama’s longest-running historical home tour. Located just 12 blocks from downtown Montgomery, the historic Garden District is a unique and diverse neighborhood of about 2,500 residents, most of whom are young singles and 30-something professionals. A suburb of Montgomery before the city filled in everything between, the Garden District is known for its tree-lined streets, tight-knit community, and, not surprisingly, its gardens. Gardening is a big deal here, and many homeowners can be seen out in their gardens on the weekends. Architecturally, the Garden District is a treasure trove of Greek Revivals, Colonial Revivals, Craftsman-style bungalows, and just about anything in between. A fixer-upper in need of renovation can be had for as little as $25,000, while a fully-renovated grand mansion toward the neighborhood’s southern-most end will set you back around $300,000. Birmingham’s Highland Park is one of the city’s oldest and most charming neighborhoods. Originally a densely forested area, the neighborhood is known for its unique curved avenues and crescent-shaped streets. In a design plan that is architecturally genius, many of Highland Park’s residential streets are sloped, offering the area’s residents (and its many joggers, cyclists, and walkers) stunning views of the three popular parks, all of which are located below street level, and other vistas. And as is to be expected from a charming Alabama neighborhood, many of the large homes and stately residences are shaded by a thick tree cover that lines the streets and offers plenty of shade. Magnolia Springs is characterized by its many magnolia trees, oak-lined streets, collection of natural springs, and winding river views. Indeed, the river is the “lifeblood of the whole community,” according to the town’s website. (Magnolia Springs is the only place in the U.S. where mail is still delivered to riverside mailboxes by boat). Several of the town’s buildings are listed on the National Register of Historic Places, the most impressive of which are Moore’s Grocery and St. Paul’s Episcopal Church, the latter of which was built in the early 20th century in the Carpenter’s Gothic style. With a population of only a few more than 50, the small town of Mooresville, Alabama may not have multiple neighborhoods, but charm abounds in this place that has been called “Alabama’s Williamsburg.” Mooresville was the first town incorporated by the Alabama Territorial Legislature, and the town’s historic homes and buildings, well-cared-for gardens, and tree-lined streets make a visit to Mooresville seem like a stroll back in time. Indeed, the whole town has been placed on the National Register of Historic Places. Hollywood has used it as a location for various films. Most notably, it was the primary filming location for Disney’s Tom and Huck. Architecture buffs will find it especially interesting that Mooresville has become the model for “planned communities.” Community planners and architects regularly travel to Mooresville from far and wide to get a feel for the features that make it so charming. 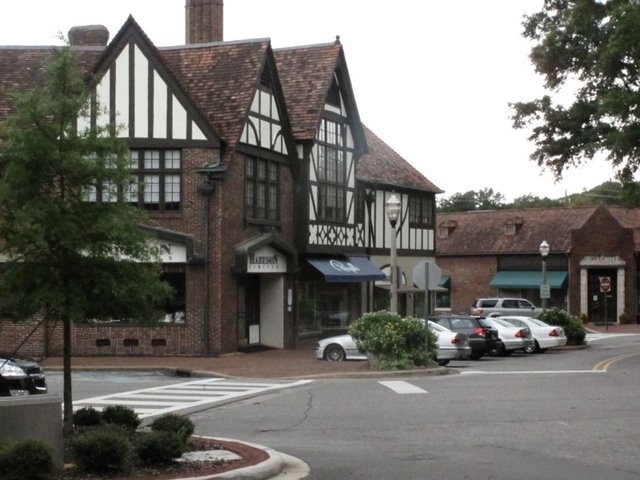 Mountain Brook Village, located in the small town of Mountain Brook, is a haven of classic European architecture. A prestigious and traditional neighborhood in a wealthy Birmingham suburb, much of Mountain Brook Village dates back to 1929, when community planner and architect Warren H. Manning included it in his designs for Mountain Brook. The neighborhood boasts attractive residential streets and a walkable charm, and is located near the town’s inviting collection of upscale restaurants and boutiques, a zoo, and the popular Jemison Park. 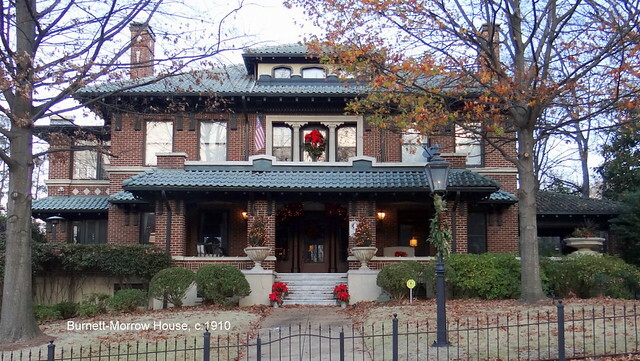 Originally built as a streetcar suburb of Birmingham, Norwood, Alabama is an historic neighborhood chock-full of stately homes built in the Craftsman, American Foursquare, Neoclassical, Prairie, and Victorian-era styles. Urban flight hit the greater Birmingham area hard in the late 1900s, and many of Norwood’s most impressive buildings suffered. Fortunately, the neighborhood has more recently became an area trendy among young couples and professionals. A fixer-upper in Norwood can be had for about $20,000, while a move-in ready, renovated home averages about $120,000. Vacant lots throughout the neighborhood have been turned into community gardens and orchards, and the award-winning Railroad Park offers residents a quiet place to relax and enjoy the charming surroundings. The gem of Alabama’s Muscle Shoals area is arguably Tescumbia, a small town characterized by its quaint downtown. More than 100 antebellum buildings and homes still exist in Tescumbia, making it one of the largest collections of historic homes in the area. Other architectural gems include the beautiful Colbert County Courthouse, a restored train depot, more than one early church, and quite a few historic homes. Some of Alabama’s earliest commercial buildings (including the building in which Helen Keller’s father, Capt. Arthur Keller, worked as a newspaper editor) can be found along the six-block Main Street. Throughout Tescumbia, signs mark which buildings are over 100 years old and/or appear on the National Register, while an Historic Walking/Driving Tour brochure is also available. During World War I, landscape architect Harold A. Caparn was tasked with designing three industrial villages as housing for supervisors and workers of various local projects. One of those industrial villages is Village I — a unique community of 85 bungalows, barracks, a school, and parks — which is now known as just “The Village.” Residents enjoy a quaint lifestyle here, and maintain the neighborhood which appears on the National Register of Historic Places, while also interacting with tourists who stroll through regularly. The streets are laid out in an unusual Liberty Bell shape, while many of the magnificent homes are characterized by their stucco exteriors and red-tile roofs. Interestingly, Village I became an influential model for future prefabrication and standardization in housing construction.